Do you understand God’s plan for marriage? 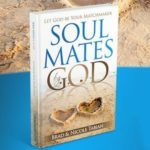 When God selects a soul mate for someone, they are selected to fulfill His purposes. If a person doesn’t have the right view of marriage, how can they recognize the mate best suited for them? Do you believe that marriage is about meeting your needs and filling your life with happiness? But what if those are only the byproducts, which result from fulfilling God’s primary purposes within that marriage? How can you have a successful marriage, if you don’t understand God’s objectives and follow His rules? Any Christian who is considering marriage needs to realize the depth of this kind of commitment and not jump into it lightly. God intends marriage to be a lifelong commitment, not a temporary arrangement. Preparing well for marriage means asking each other all the hard questions. Getting to know that special someone includes learning about family and friends and schooling and athletics, favorite pastimes, books, movies, life’s best moments and worst, the brightest places in our background and the darkest. But what about theology? Ever think to ask about that? Chapter 2 – What is marriage and what did God design it for? I firmly believe the spiritual dimension in marriage is indispensable. It has the power to change lives and homes, especially when both husband and wife share similar spiritual beliefs and practices. Who is the Leader in Marriage? What is God’s primary purpose for marriage?